Fall is my favorite season, partially because layering my clothes is a hobby. Mostly because I get a pause in the costuming schedule to remember that I have a plethora of other hobbies. But, this post is about what I did to end the 2014 season, so let’s look back. 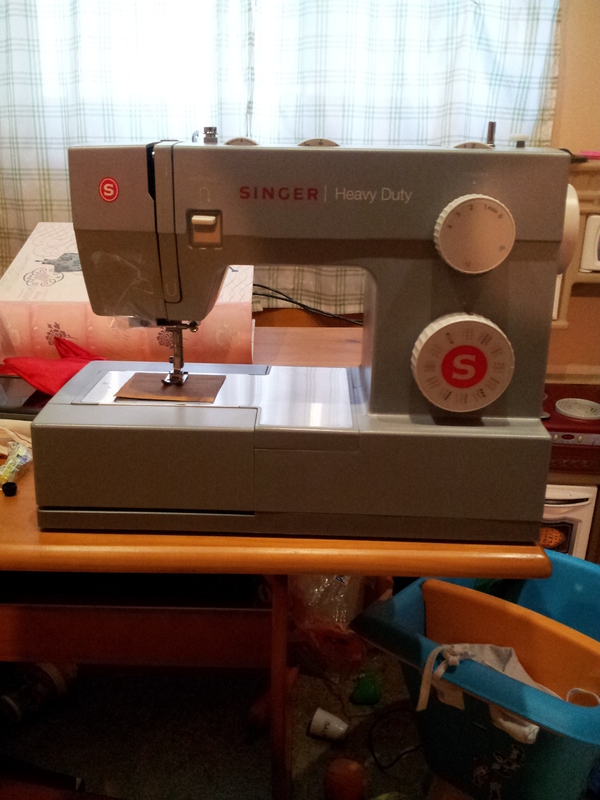 First, I got a new sewing machine–the Singer Heavy Duty. I needed a new primary, since my older Singer has become unreliable, and I don’t want to have any unfortunate accidents with my pretty little Brother. The new machine, Jayne, has been lovely. I was concerned that she’d be too sturdy for my mid-size sewing table, but I haven’t had any issues. Here it is! I’ll post a project diary later. There are some adjustments that I need to make in the fit, but the costume’s debut was a success!